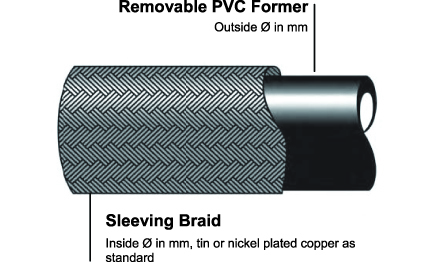 Equivalent to RAY-101-20.0 - Optimum screening performance is obtained using copper wire braid that can also be used for earth continuity purposes. Order in multiples of 1 mtrs up to the next price break at 5 mtrs to receive a continuous length. 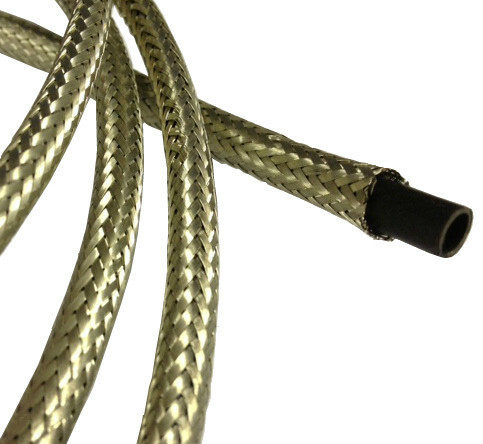 The primary use of wire sleeving braid is to provide sensitive cables with an EMC screen to shield them against electromagnetic, electrostatic and radio frequency interface. Optimum screening performance is obtained using copper wire braid that can also be used for earth continuity purposes. Nickel-plated copper is suitable for use at elevated temperatures and for harsh environments or where abrasion is likely to be encountered, stainless steel or galvanised wire is an option. Electro tin-plated copper This is what you reeceive when ordered unless otherwise stated. Our Sleeving Braid is of High Quality and Low Cost that gives you the best results every time. For further information please contact our sales team.